Billy Graham was reported to have said: "Someday you will read or hear that Billy Graham is dead. Don't you believe a word of it. I shall be more alive than I am now. I will just have changed my address. I will have gone into the presence of God." 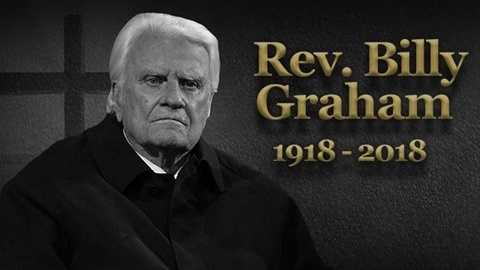 Thanks to Rush Limbaugh for reminding us of Billy Graham's words.